Some 11 budding teenage entrepreneurs have been selected to represent Westmeath at the Student Enterprise Programme National Finals in Croke Park. The young entrepreneurs will represent their Local Enterprise Office and their county at the Student Enterprise Programme showpiece on May 2. Every September, entrepreneurial secondary school students across the country begin their business journey as they are encouraged to brainstorm, create and run their own businesses. In September, 2017, more than 23,000 students from 480 schools nationwide began their entrepreneurial journey with the help of their teachers and their Local Enterprise Office (LEO ). The Westmeath students have already competed at the county final on Friday, March 9, held at the Golden Island Shopping Centre in Athlone. An estimated 87 students from eight schools took part in the annual programme locally. In the junior category, the student representing Westmeath at the national finals is Emma Dickson of the ‘Little Pip’ enterprise at Moate Community School. In the intermediate category, Colin McGee, Aisling Keogh, Matthew Brennan, Sarah Coleman and TeganTuite, from ‘Easy Bakes’, St Joseph’s Secondary School, Rochfortbridge, will be representing the county in Croke Park. In the senior category of the competition, Westmeath will be represented by Jack O’Donovan, Saoirse Ripley, Sinead Kelly, Niamh Kelly and Jamie Ravenhill from ‘Aon Sceal’ at Moate Community School. Special guests at the Westmeath final included Pat Gallagher, chief executive of Westmeath County Council, and Tracey Tallon, senior enterprise development officer from Westmeath Local Enterprise Office. 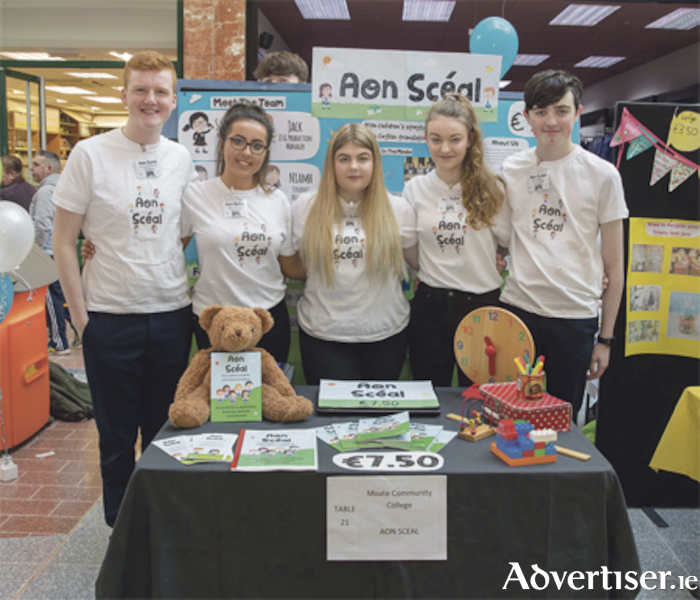 Co-ordinated by the Local Enterprise Offices in every local authority area, the competition is the most successful student enterprise programme of its kind in the country. Since its inception in 2003, more than 150,000 students have gotten involved.